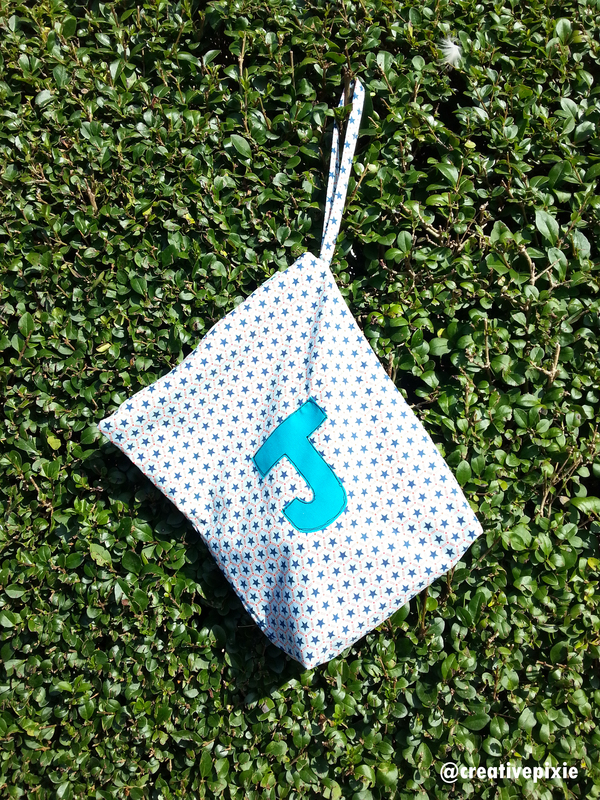 This week I made another plimsoll shoe bag, this time for my nephew Jonah. 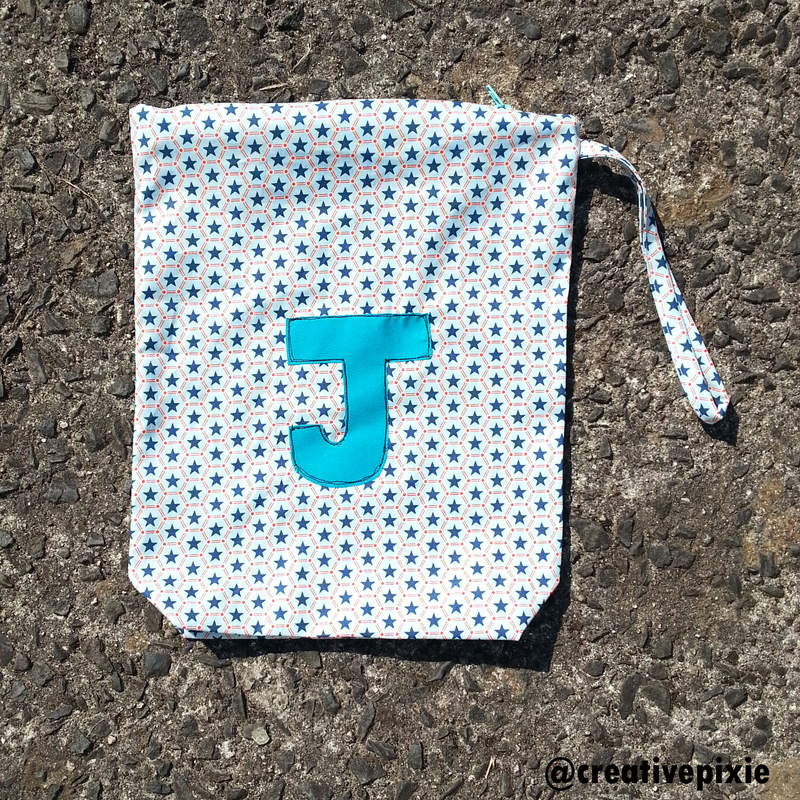 I used some lovely star print Riley Blake fabric I received from Plush Addict for a recent review post. Here’s the finished result after sewing round it twice to secure. 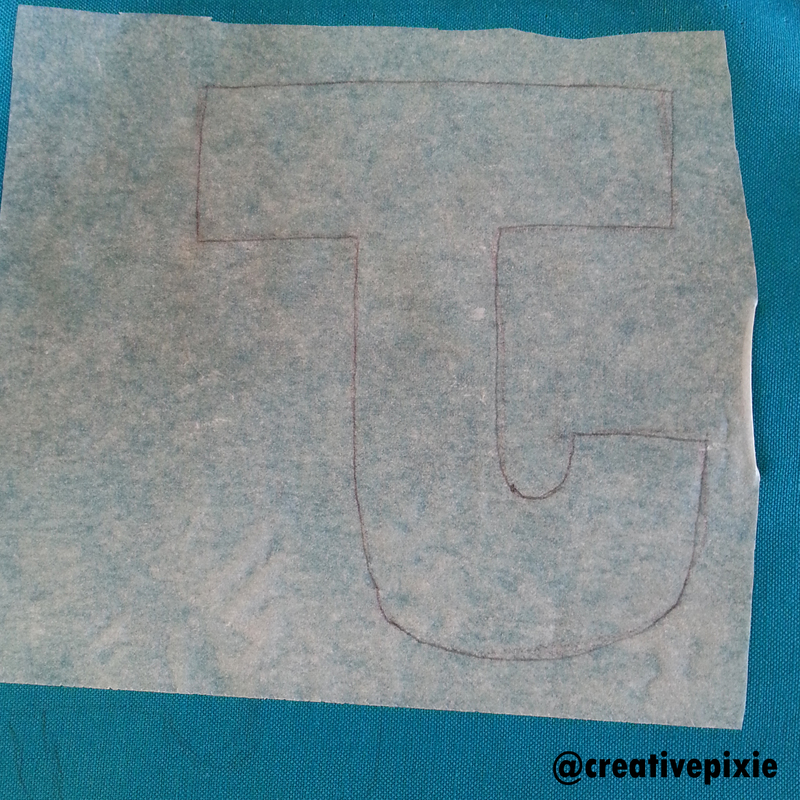 I’ve pressed it with the iron so the square corners (which give the square base) are really obvious here. There you go…plenty of room for a pair of plimsolls. Don’t forget there’s less than a week to enter the free planner giveaway from Personal Planner see my previous post here. That is lovely. Now I feel I should have tried that instead of buying a boring navy one! Good job! Very nice – I hope Jonah appreciated it! That web stuff is fantastic. 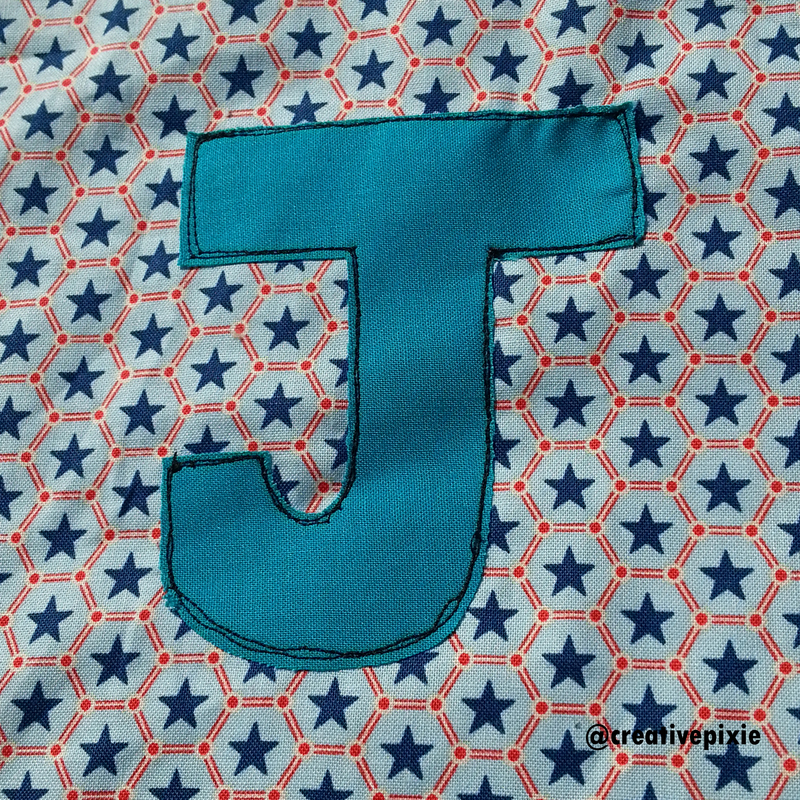 That’s how I put shining fabric letters on super hero capes.